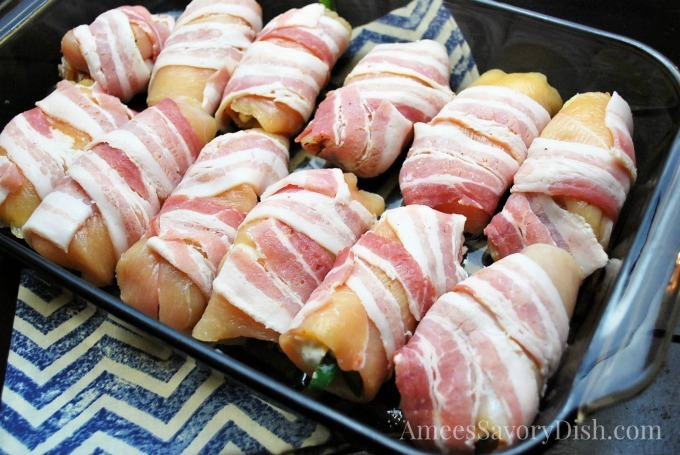 These Tex-Mex Chicken Roll-ups are a family favorite recipe that I’ve been making for years. Anytime bacon is cooking, my kids run to the kitchen and ask what’s for dinner. It smells soooo good in the oven and who doesn’t get excited about the aroma of bacon?!! I highly recommend buying the thin sliced chicken cutlets for this dish. If you use regular breasts, you need to pound them out really thin with a meat mallet and that’s a real pain in the arse. They roll up better and stay put when the meat isn’t too thick. The result is tender, juicy and so flavorful! Don’t shy away from the fresh jalapeños. Seeding and sautéing them takes away most of the heat, so they don’t turn out very spicy. 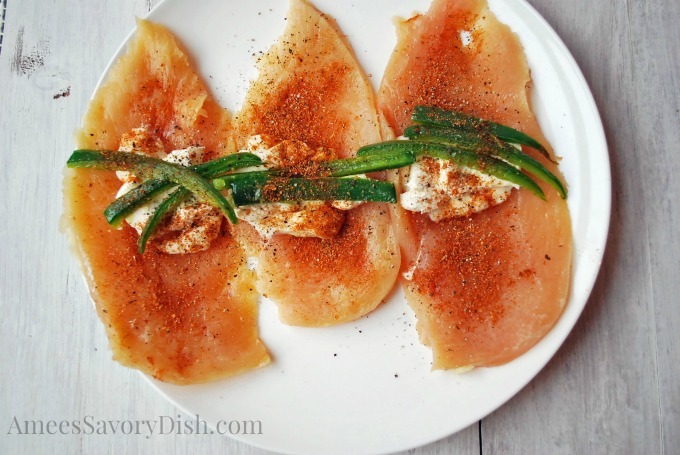 Begin by laying out your chicken breasts and topping with cheeses, a few slices of sautéed jalapeño and sprinkle with adobo seasoning, salt and pepper. 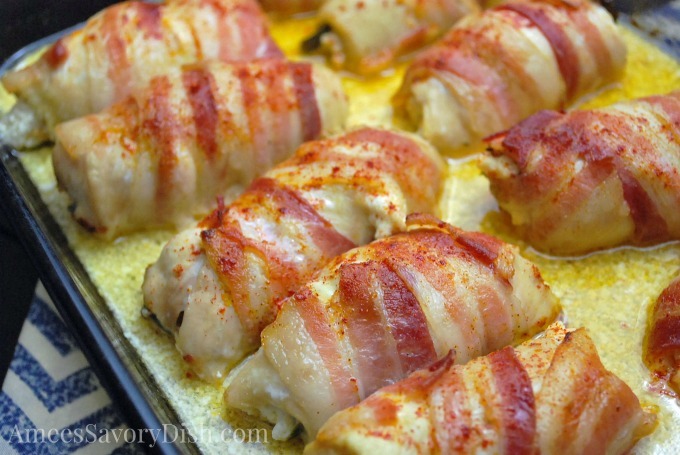 Then roll up each breast, wrap tightly with a slice of bacon and place in a lightly greased 9×13 baking dish. Bake 1 hour until bacon turns lightly golden brown. If desired brownness hasn't been achieved, you can turn the heat to broil and cook, watching closely, until top is nice and crispy.